Williams F1 has sold a minority shareholding to an Austrian group led by investor Christian “Toto” Wolff. 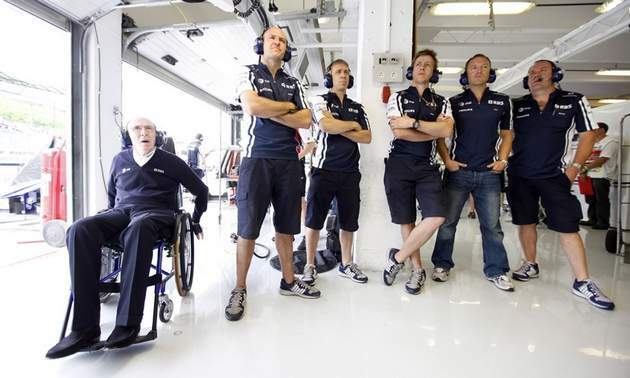 The Williams team has been owned 70/30 by Sir Frank Williams and Patrick Head since it was started in 1977. They have resisted overtures from potential partners, including BMW. The 37-year-old Wolff is based in Switzerland with his partner, Scottish DTM racer Susie Stoddart. He made his money in a wide range of venture-capital investments under the Marchfifteen and Marchsixteen names. His holdings currently include HWA AG, which operates the Mercedes DTM program, and rally organization BRR, which runs the Red Bull junior team. He also runs a driver-management company with Mika Häkkinen. Wolff also is a successful racer. He started in Formula Ford in 1992, but has focused mainly on GTs. In 2004, he raced a Ferrari 575 Maranello with close associate and former Formula One driver Karl Wendlinger in the FIA GT series. More recently, he has competed in rallying. He is lap record holder at the full Nürburgring track, a feat achieved in a Porsche 997 RSR. But he wrecked the car on the next lap after a tire failed at 165 mph.